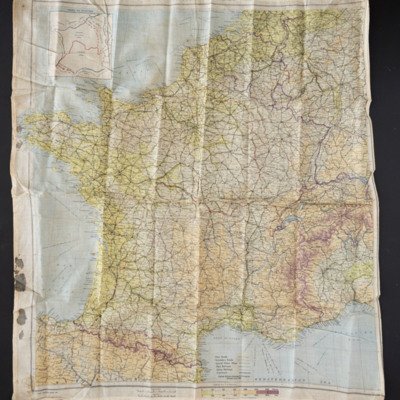 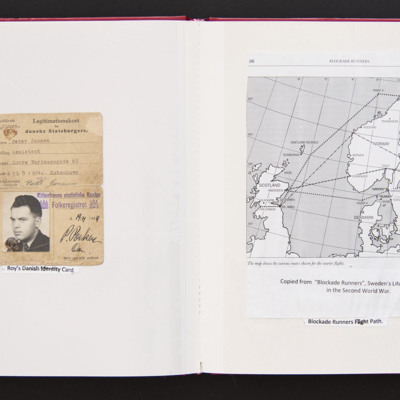 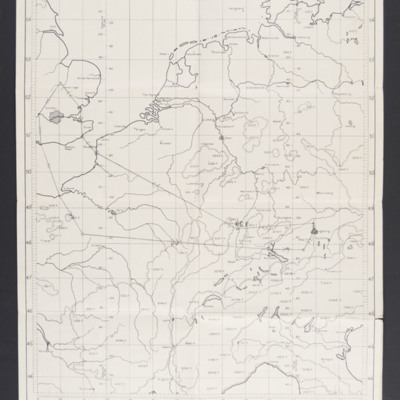 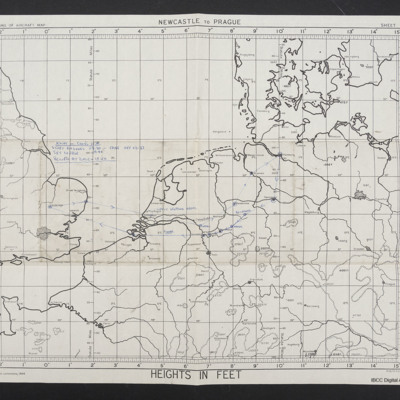 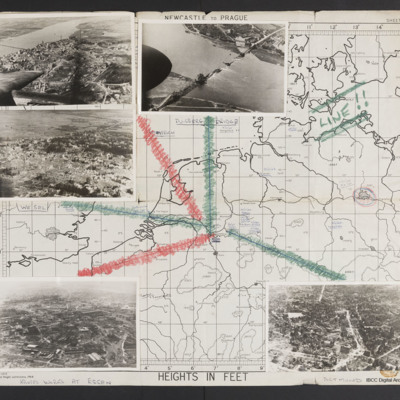 A fragment of a route map used by a navigator from England to north east Germany. 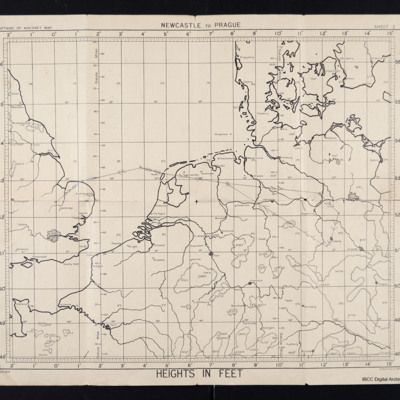 A route map used by a navigator from England to south east Germany. 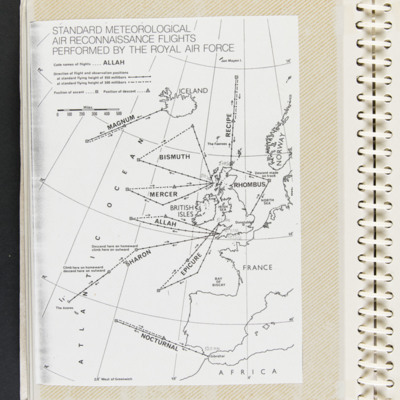 On the reverse is the pilot's log with a table of track, distance and time. 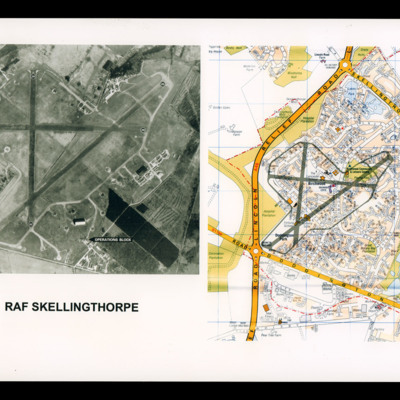 On the left a reconnaissance photograph of RAF Skellingthorpe marked with runway directions and operations blocked indicated by an arrow. 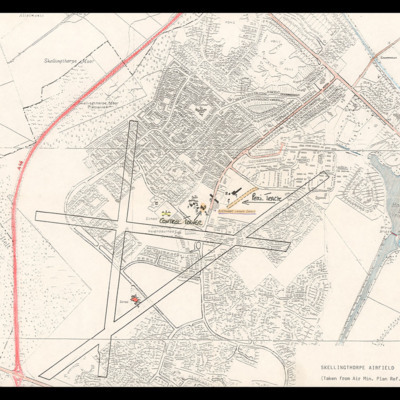 On the right a colour map of the Birchwood section of Lincoln with airfield boundary and runways drawn over. 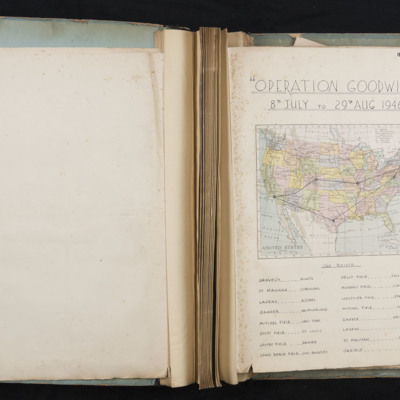 Item 1 is a newspaper cutting about airmen being entertained at Denver. 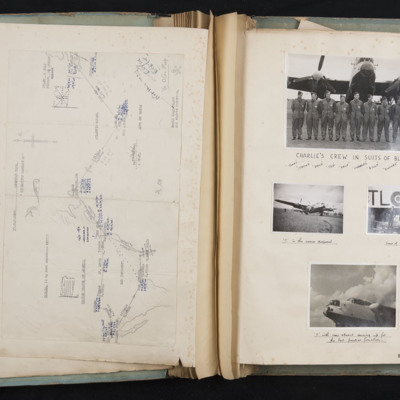 Item 2 is an Information handbook Lowry Field. 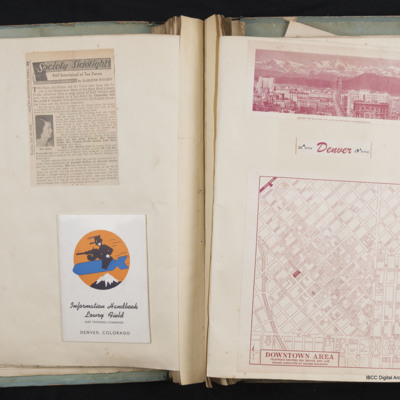 Item 3 is a photo of Denver city. 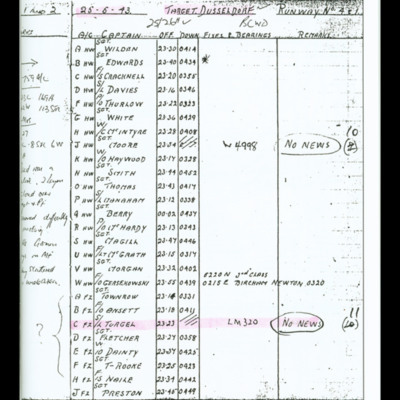 Item 4 is a map of Denver with an annotation of a woman's address. 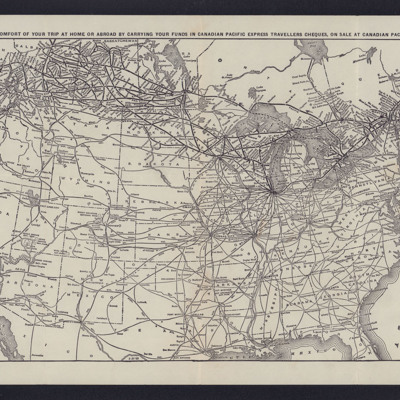 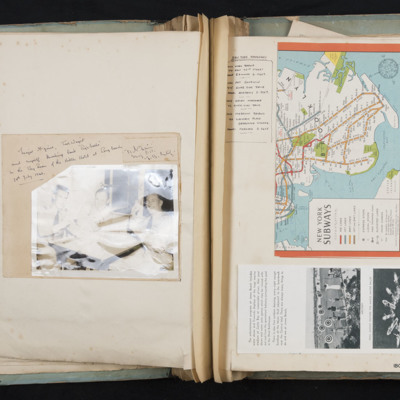 Item 1 is a sketch map of the route flown across America and Canada.